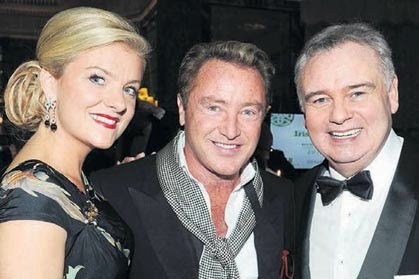 500 Irish in Britain leaders, including Michael Flatley, showed up at the plush Dorchester Hotel in London on Thursday night and it felt to me like a community being reborn. I was delighted to be one of the speakers at the event. The Dorchester is London’s finest hotel and it was a fitting location for the most extraordinary chapter in the death and revival of a great London Irish institution. It was fitting that it took place on Halloween when the dead are said to rise. The near death of the Irish Post newspaper, the lifeblood of the Irish community in Britain, which stopped publishing for eight weeks after its corporate parent tossed it aside two years ago was a hammer blow to the Irish community here. But this is the community that would not lie down. A committee was assembled which worked tirelessly to find a buyer for the Post, even to the point where the British-Irish committee in parliament held hearings on the issue. The Post was saved by Elgin Loane, a young businessman from Cork based in London, who had heard about its plight and decided enough was enough and the Irish were not going to lose their flagship. In today’s publishing environment he performed miracles - getting the Post back on the street within eight weeks and restoring its former circulation numbers within weeks after that. Since then the Post has re-established itself quickly as the heartbeat of the community. London and to send a message that they belonged there. Thus it was that a wonderful evening ensued, headed by the chief honoree the now London- domiciled Michael Flatley, who spoke forthrightly about the obligations to speak up and speak out about the importance of Irish heritage wherever in the world we are. It was a lesson the Irish in Britain learned the most difficult way. It was hard not to think of the forgotten generations of Irish in Britain, the ones to whom coming to the Dorchester would have been a pipedream, other than as a doorman or hotel worker. Now many of that forgotten generation are in trouble - construction workers who took “the lump” for years, were often exploited and lived itinerant lives and home helpers and nannies who were never put on the books to mention just two categories. It has been many years since the Irish in America endured such hardships, I’d say. What was wonderful about the evening was not just the celebration of business success, which was evident, but also the understanding that this generation of Irish in Britain needed to reach back and help those who had gone through so much. The Irish Post is leading that fight, helping in that battle to ensure the forgotten generation are remembered. If there was ever a reason for a paper to exist that alone would suffice, but the event at the Dorchester was indicative of a new found pride and commitment among the Irish in Britain to their heritage.